So, you want to get a gift for someone in your life who either trains muay thai, or perhaps MMA, but what the hell is muay thai, and where do you start looking? Perhaps you train, and you want to give your family some ideas of what you want for Christmas. Well, here's the top recommended gifts that will be sure to make the muay thai fan happy this holiday season. My school has commissioned this artist to do a number of works for us, and I have a print on my living room wall. 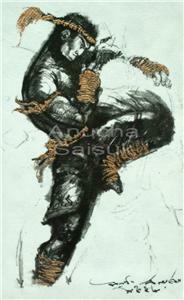 Each piece is unique, and this is something that anyone who likes Muay Thai would love to own. Prints are available on eBay. You can also find this art on T-shirts. It's definitely a unique gift that's one of a kind. Seriously, the stuff looks great on a wall or on a shirt. This one, on the shirt is the same one I have hanging on my wall. Here's the skinny: Anyone who's serious about their training will never want to give up their gym bag regardless of how stinky, torn up and beat up it may be. There's an emotional connection between a fighter and his/her equipment. There are ton of different types of bag out there. I recommend either a compartmentalized bag, or a mesh gym bag -both found on Amazon. A tried and true stapleThai boxing liniment is a great stocking stuffer, and is the fastest way into a muay thai practitioner's heart. Be careful from who you buy Thai liniment as it is largely overpriced, considering a 120cc bottle sells in Thailand for less than 2 dollars, however online merchants will mark up the price to as much as $15 for the same product that may be past it's expiration date. eBay and Amazon have some sellers that offer it at a fair price. Competitive Ace is the official North American dealer for Namman. This liniment is about as fresh as you can get it, however, the prices are little higher than other resources, so you'll have to weigh the benefits for yourself. It was on last year's list, and will most likely be on next year's list. If you ever get one book on the subject of muay thai, this one is it. The hardcover book is viewed by many as the textbook on muay thai. Transcribed from the bedside of aging Master Ket Sriyapai in 1978, this book is humble in layout. This book is filled with incredibly useful information, tips on training for a fight, techniques, and serves as an enlightening history of the transformation of the modern sport muay thai in the twentieth century. You can find it on Amazon.com. Last year, Twins Special 16oz gloves were on my list of recommended gifts. This year, I resommend bag gloves. 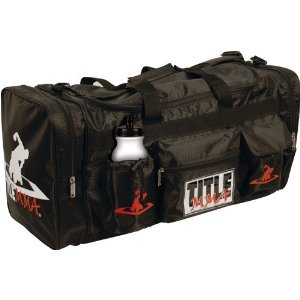 Great for training on heavy bags, focus mitts and thai pads. 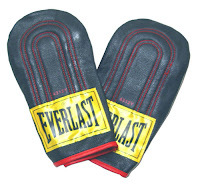 You can find a wide selection of brands at MuayThai-fighting.com, but I recommend Twins, or if you can find an older pair of Everlast bag gloves - those things last forever. The optimal length for a pair of hand wraps is 180 inches. The optimal price for a pair of hand wraps is NOT $39.00. You can find a pair of cotton hand wraps at the right leghth for about $10 at Amazon. When in doubt, you can always default to MuayThaiStuff.com for any all things muay thai, but I highly recommend you spend time going though the sale section. It'll save you a lot of money. WARNING: All items from this site ship from Thailand, so expect a minimum 2 week delivery time. Regardless of where you shop online, shop safe. Know the indicators that you're submitting your payment info over a secure connection (https, padlock in the browser bar, green bar). Learn more to stay safe online. If you find something that should have been on this list, let me know. Make a post on Facebook at https://www.facebook.com/oldstylemuaythai. It's really a great post and great information about boxing glove. Great post!! !I really like this one.This is really a good read.This blog describes about Muay Thai very nicesly with good photographs.The way of describing the content is really better.Thanks for this great post.I am waiting for another one from yours side.